The Service You Expect, At the Price You Can Afford. 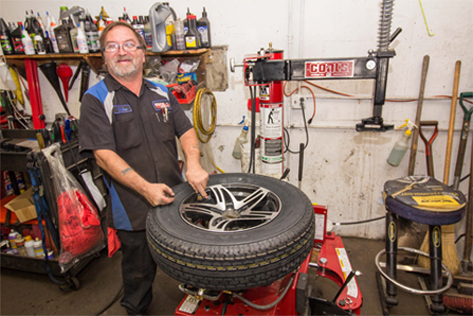 Maintaining your vehicle from bumper-to-bumper is our job. 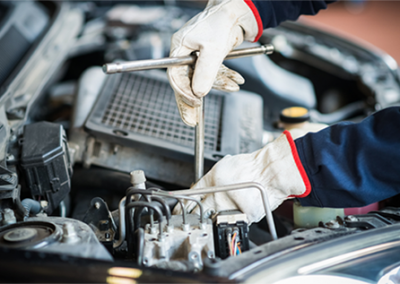 From small automotive repair jobs, like battery replacement and brake jobs, to more detailed jobs like replacing a blown engine, Faulkenburg Automotive has the ASE Certified Mechanics to get your car back up and running. 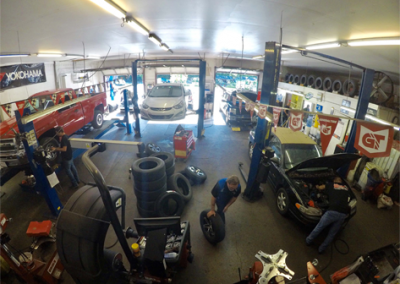 Our auto mechanics are detail oriented and precise in diagnosing and fixing your car right the first time. Even before something goes wrong, we can help. Preventitive car maintenance keeps your car from breaking down and keeps you moving down the road. Schedule a mulit-point vehicle inspection to make sure your car is healthy. Floyds Knobs and New Albany Indiana car owners have plenty of choices for their car care. But we recommend creating a relationship with an auto repair service near you. Let Faulkenburg Automotive gain your trust by giving you honest advice and quality parts and labor. 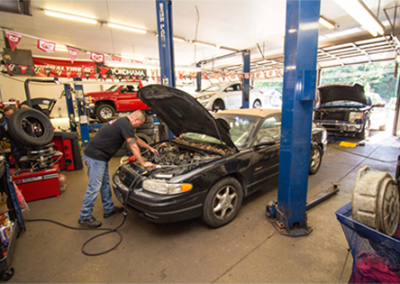 We are a local auto repair shop that you can rely on. We don't have high paid CEO's or expensive advertising campaigns to pay for so we can keep our prices cheap. Just for you. Get the best deals on new tires and installation in Floyds Knobs and New Albany at Faulkenburg Automotive. Old or new, your car needs oil to lubricate the engine. Oil changes keep your engine operating at peak performance and ensures a long engine life. Tired of your steering wheel being sideways and your car pulling one way. An alignment can get you driving straight again. A comfortable ride is what everyone wants in a vehicle. Changing your shocks and struts can give you that perfect ride and handling you once had. Stopping is the most important thing your car needs to do. Make sure your rotors and brake pads are in functioning condition. Maintaining a fleet of vehicles is hard without a mechanic on duty. Save money by outsourcing vehicle maintainance to Faulkenburg Automotive. word of mouth and repeat customers. We earn repeat customers by giving them the best customer service and the best prices in the business. 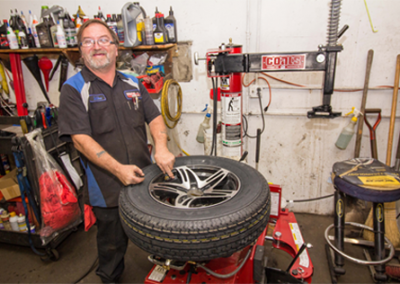 Take a look around the shop and get to know our mechanics. We are an auto repair shop that services vehicles in Floyds Knobs and New Albany. 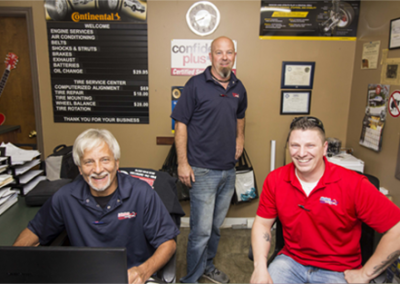 We are a team of honest and certified mechanics that can diagnose and repair your vehicle at a fraction of the cost of a dealer.